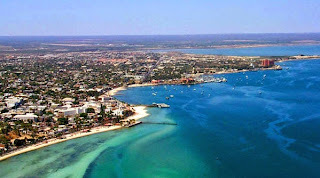 Los Cabos is the best known and popular destination in Baja California Sur and all the peninsula. However, what is little known the extraordinary beauty around him, in deserts and seas and the wealth of tourist activities available. discover the well-preserved historic center of San José del Cabo, which highlights the Mission of San Jose del Cabo Añuití excellent galleries and local artists. Finish with a walk to admire the natural beauty of El Estero. It is a "Port of Illusion" extraordinarily beautiful and delicious tranquility. 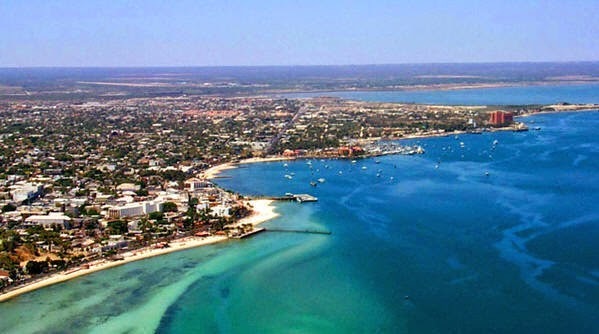 From La Paz you can visit Isla Espiritu Santo, take whale watching tours to swim with sharks and large fish. The beauty of its unspoilt beaches will delight you, as Sloop and Pichilingue. Know well the Malecon and La Mission. The contrast of the mountains and a very calm sea provides a beautiful way to Loreto. Here you can visit the Mission of Our Lady of Loreto, founded by Jesuit missionaries in 1697, to serve as the first capital of the Californias. Its quiet beaches offer the opportunity to kayak. You can go cycling on quiet streets. Visit the history museum, or play golf in peaceful countryside between sea and mountains. The boat ride to Isla Coronado is an unforgettable experience! Mulege is an established population in Oasis, which has a mission of the colonial era. Close by are the beaches of Bahia Concepcion, natural atracivos almost intact with incredible beauty. Ideal for camping in quiet places, take a boat ride, fish and relax. In the salt Black Guerrero is located in the world biggest I abiero sky. The Salt Company Exporter, lets visit their site where you can learn the process of extraction of salt and learn about their uses in food, industry and technology. Black Warrior is located within the Biosphere Reserve Vizcaino, a declared World Heritage Site by UNESCO. It is ideal to assist the whale in Laguna Scammon, climb the Sierra de San Francisco to admire the cave paintings, appreciate the thousands of migratory birds in the "Refuge of Birds" and visit the Reserve Pronghorn place . Because of their fishing activity, with seafood dishes are a culinary experience that will delight you. San Ignacio is located in an oasis, where desert turns into a town with thousands of palm trees and tranquility is the order of the day. That is one of the most exciting quests of the Peninsula, San Ignacio Mission Kadakamaan. Santa Rosalia is a town by its ancient buildings picturesque French architectural style, most notably the Church of Santa Barbara, designed by engineer Gustave Eiffel. Meet in the Museum's history Industrial Mining Company "Boleo" and the delicious sweet bread is lost in his bakery for over 100 years.